I use to eat these in Jamaica and to make the juice I think that is how they did it soak it in warm water. We would just eat them out the shell or add sugar and roll them into balls. Thank you for the additional info on tamarind! 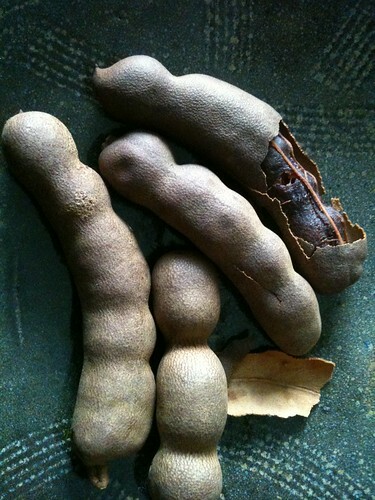 Yes, I failed to mentioned that the flesh from the fresh tamarind pods was absolutely delicious and edible as is - without that slightly funky salty/sour addition that the dried/preserved tamarind paste has. Oh Im going to have to give you a receipe for a "Ponche de frutas Navideño" soon. Its a great hot drink thats especially made during the holidays. It has tamarind,hibiscus, guavas,cinnamon and couples of more ingredients. When done right, it just blows your socks up, plus it smells amazing! I just need to dig up the receipe. 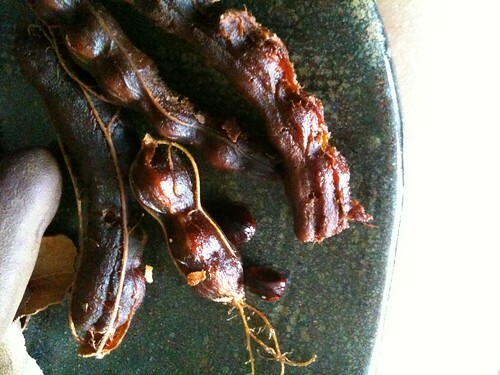 Oh we also eat tamarind in candy form, but we eat it in a spicy/sweet mix. Its soo good.Cheers! F_N.